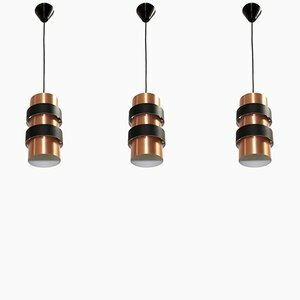 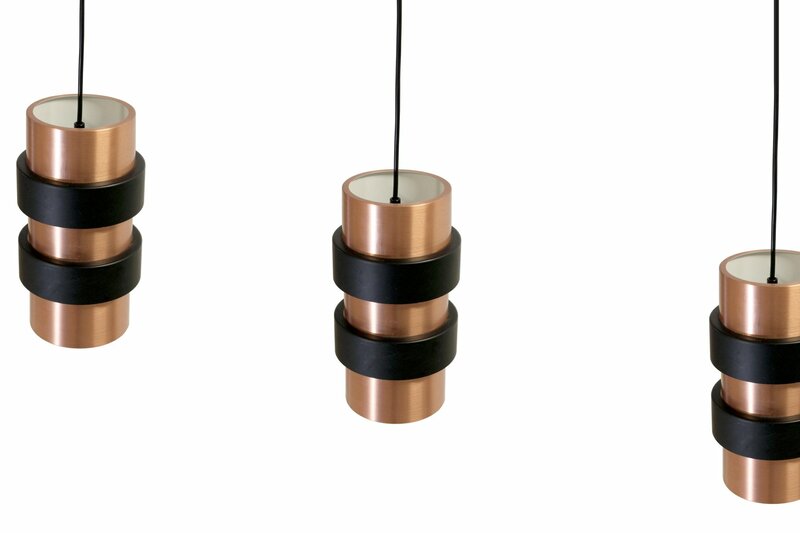 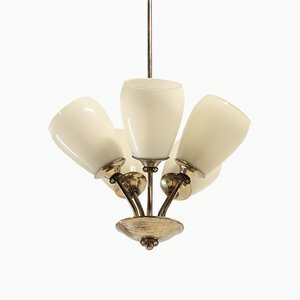 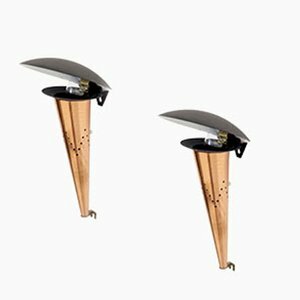 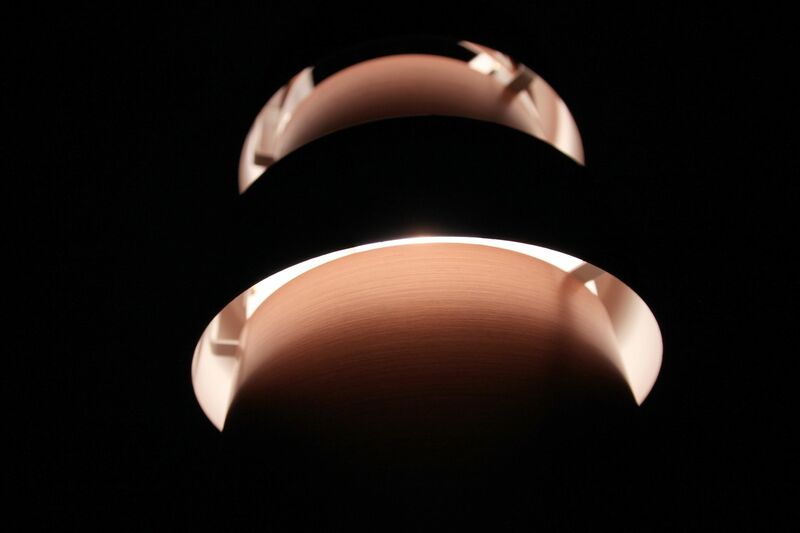 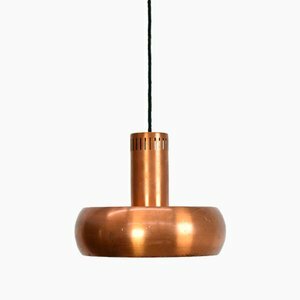 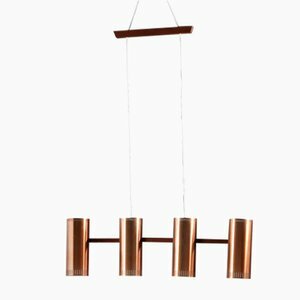 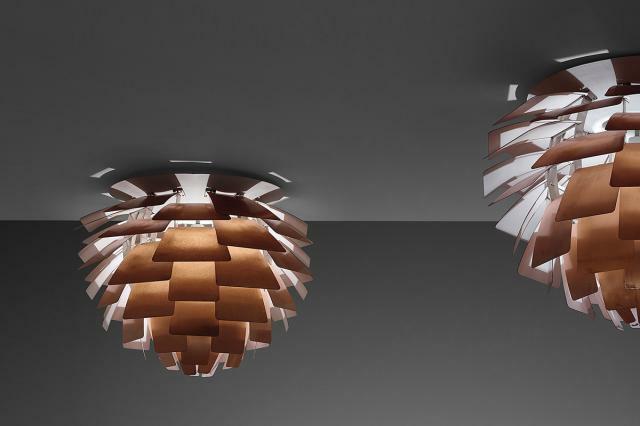 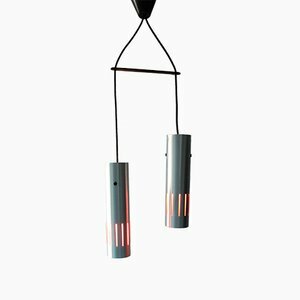 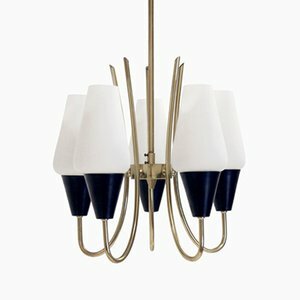 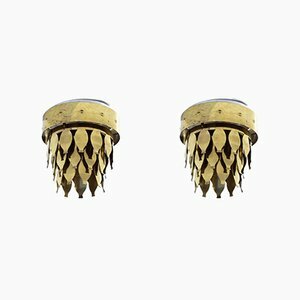 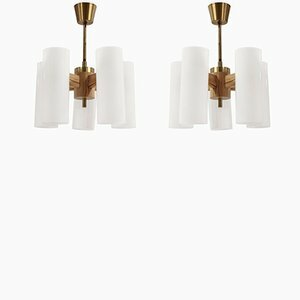 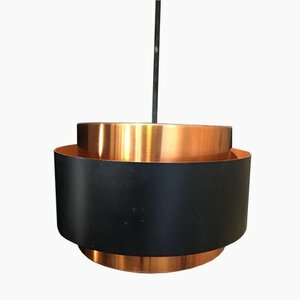 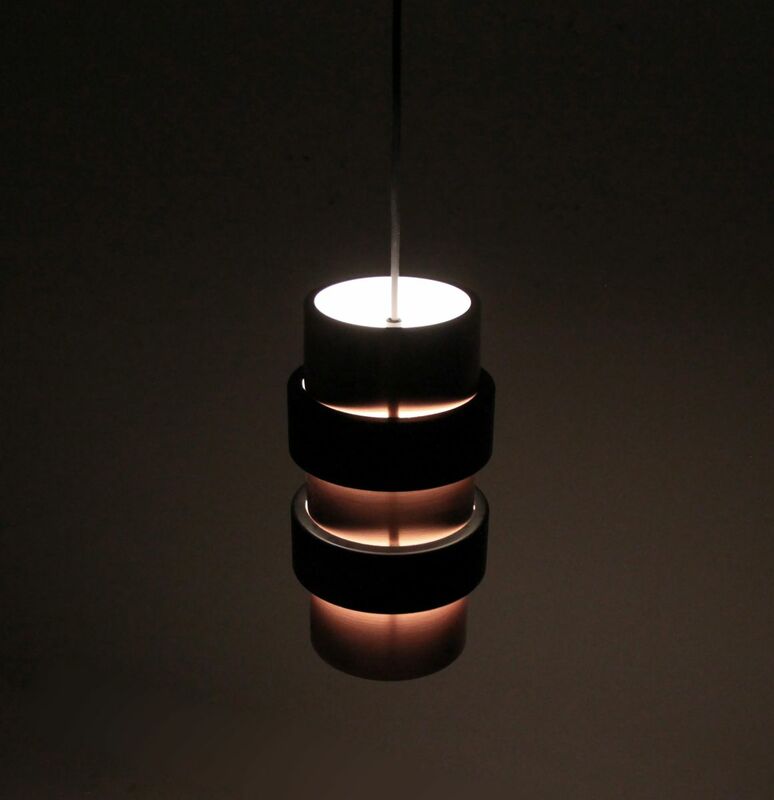 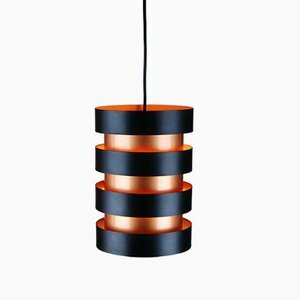 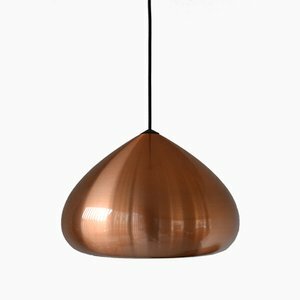 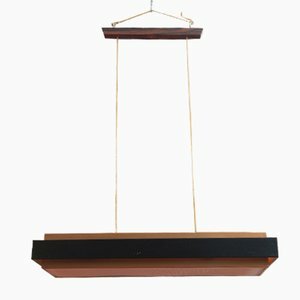 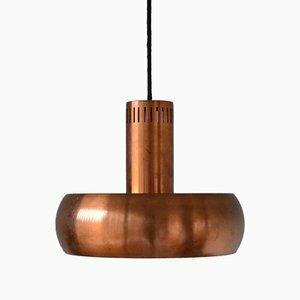 This set of three pendant lights is made of painted steel and copper. 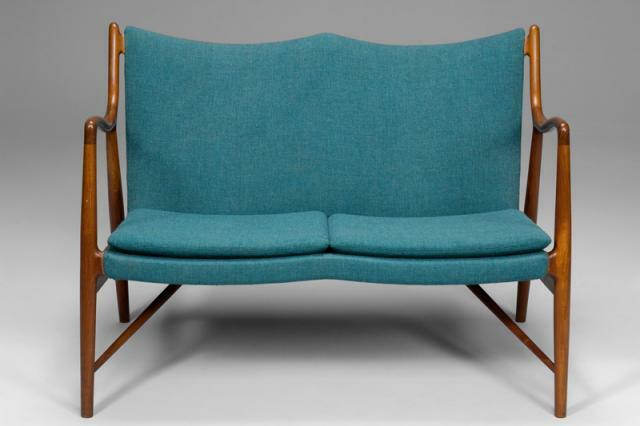 Danish designer Johannes Hammerborg, often called Jo, was born in Randers, Denmark, in February 1920. 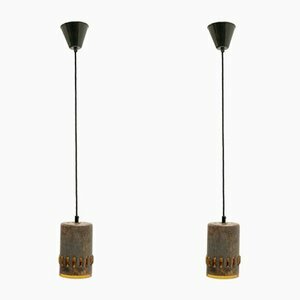 After graduating from high school, Hammerborg went on to train as a silversmith in Randers and Silkeborg during 1942 and 1943. 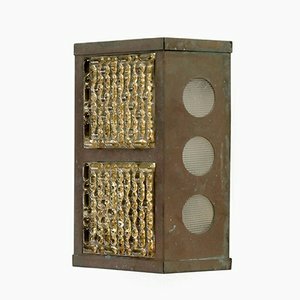 In 1944, Hammerborg entered the prestigious Royal Danish Academy of Fine Arts in Copenhagen, and exhibitions of his paintings were held in Randers each year between 1944 and 1947. 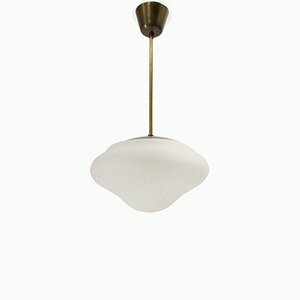 Hammerborg entered the Danish silversmith firm, Georg Jensen in 1949 where he worked as a silversmith for eight years. 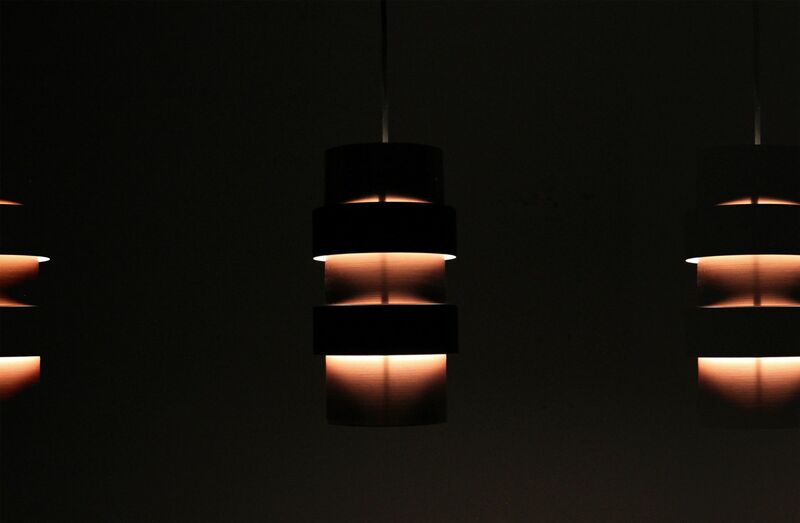 Johannes Hammerborg joined the Danish lighting manufacturer Fog & Morup where he became their head of design in 1957. 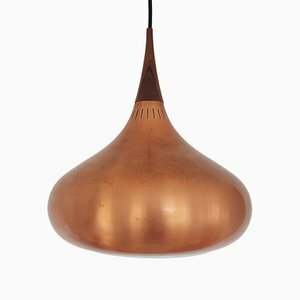 While Hammerborg was at the helm, Fog & Mørup saw its most successful period in its 80 year-old history, both artistically and commercially. 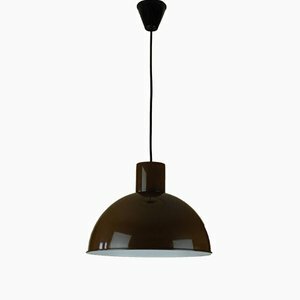 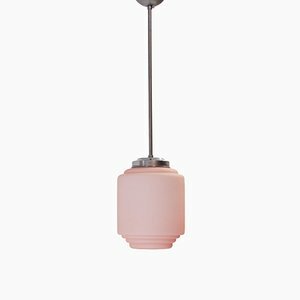 Hammerborg introduced a new modernist aesthetic to the designs, and every aspect of the company, be it the smallest component of a pendant lights pendant light or the labelling and packaging, came under the exacting eye of Hammerborg. 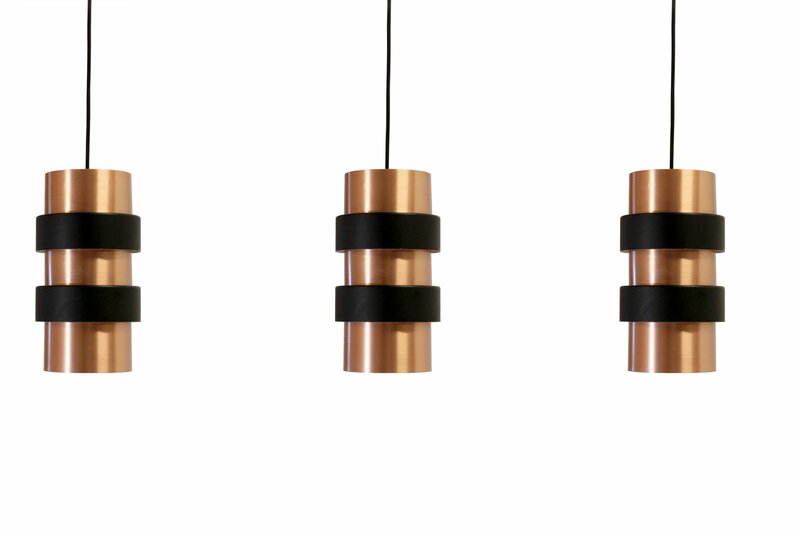 During the Hammerborg era, Fog & Mørup won international acclaim and generated huge markets both at home and abroad. 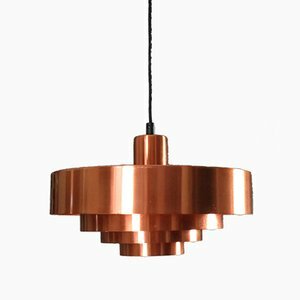 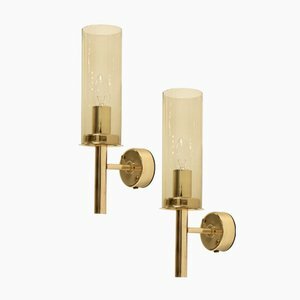 Johannes Hammerborg personally created over sixty lamps, ranging from large Floor Lamps to ceiling lamps, and he also collaborated with other designers to ensure their designs met the high standards of Fog & Mørup’s new production requirements. 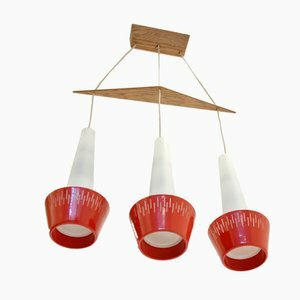 To this day, Hammerborg’s designs remain fresh and compelling, and have won numerous awards over the years, including the CICi first prize in 1965 for the Nova, and four iF Product Design Awards in 1969 for the Classic, Tunika, Saturn and Diskos. 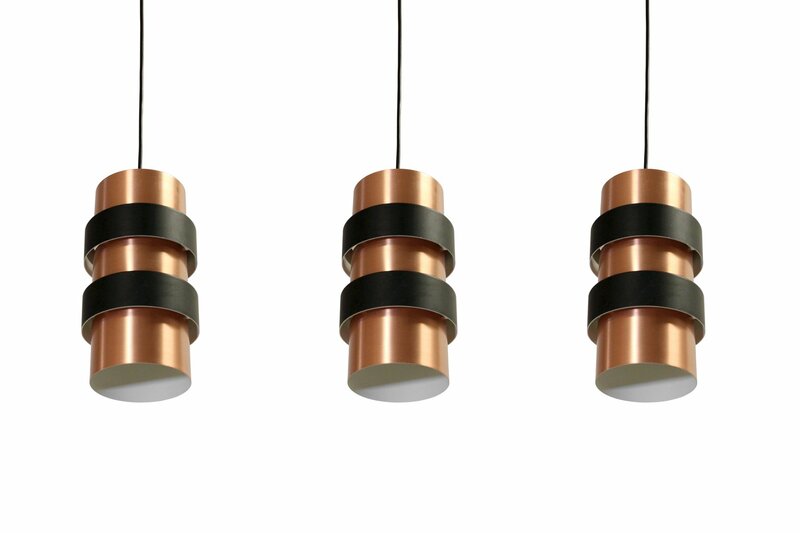 Hammerborg left Fog & Mørup in 1980, and opened his own lighting design business. 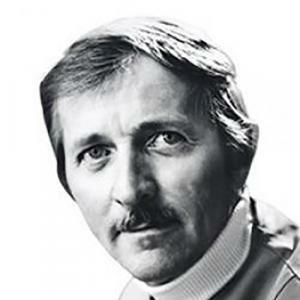 Tragically, Hammerborg passed away in 1982 after a skydiving accident on the island of Bornholm. 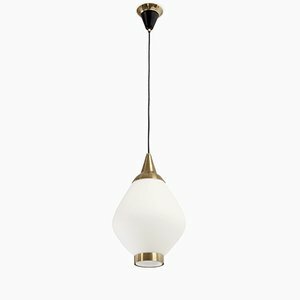 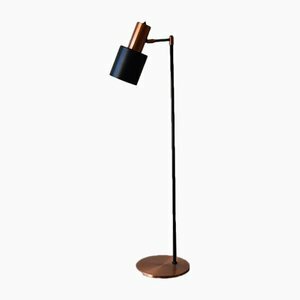 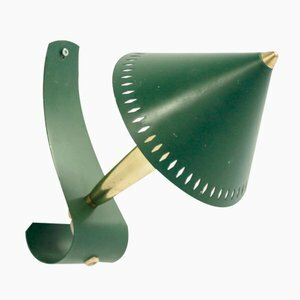 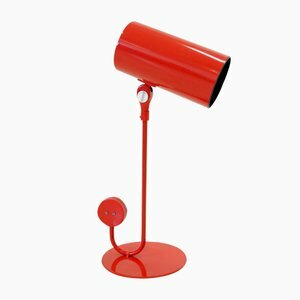 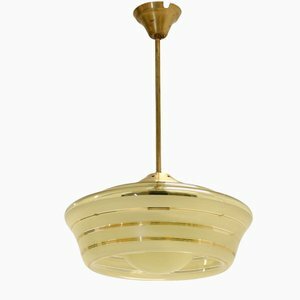 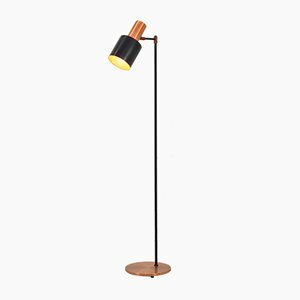 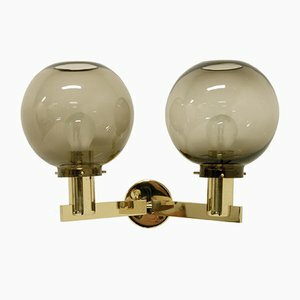 Danish modern lighting manufacturing company Fog & Mørup was founded by Ansgar Fog (1880 to 1930) and Erik Mørup (1879-1972) in Aarhus, Denmark in 1904. 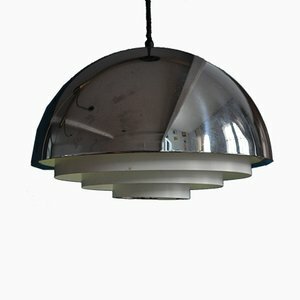 In its first incarnation, the company operated as a metalwork wholesaler. 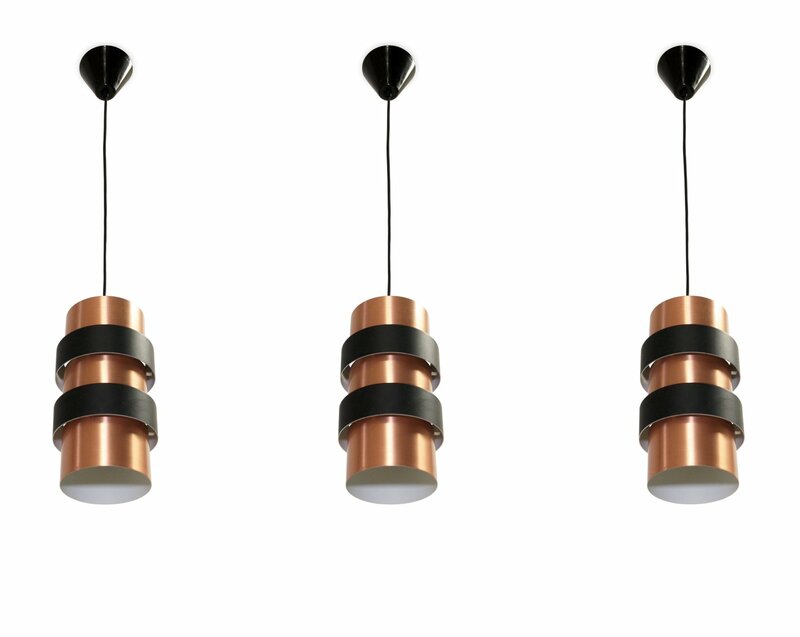 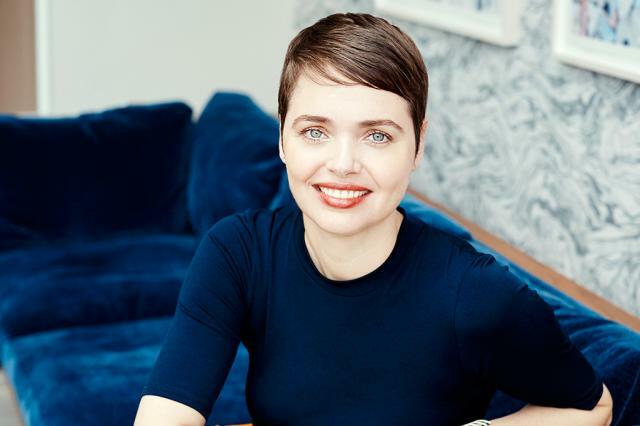 In 1906, the pair moved to Copenhagen and began to focus on lighting production, over the years buying up a number of electrical and lighting companies. 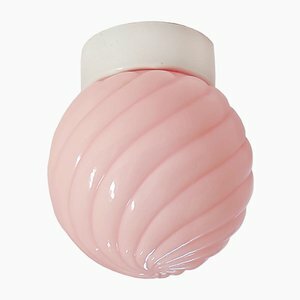 The company continued to expand steadily through World War II. 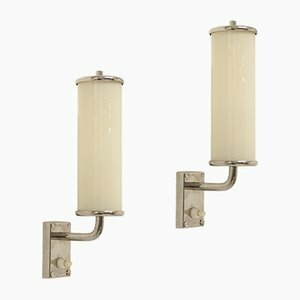 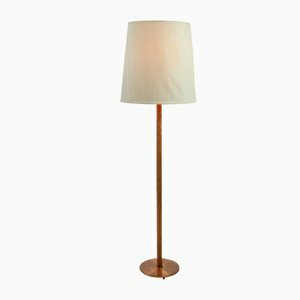 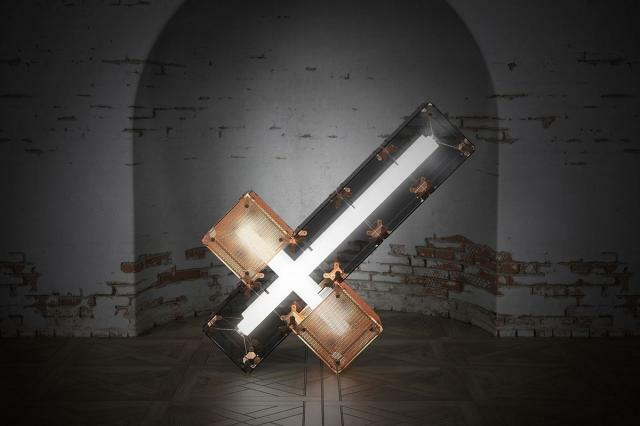 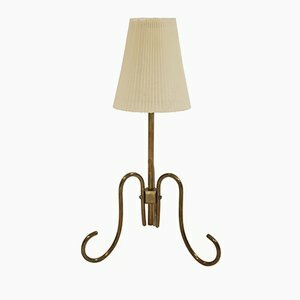 One of the most successful Fog & Mørup products from the pre-war era was the Kongelys Lamp, named for the Danish King Christian X in honor of his 25th jubilee in 1937. 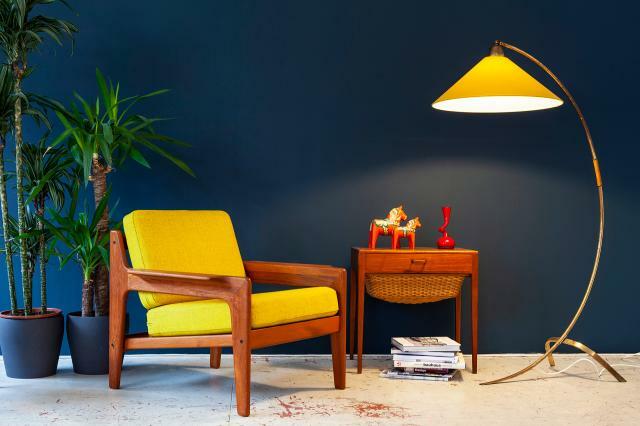 After the war—especially in the 1960s and ’70s—Fog & Mørup’s international reputation reached new heights. 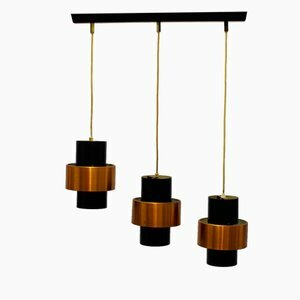 In 1959, Johannes (Jo) Hammerborg(1920-1982) joined as head of design and introduced modernist design principles to the Fog & Mørup collections. 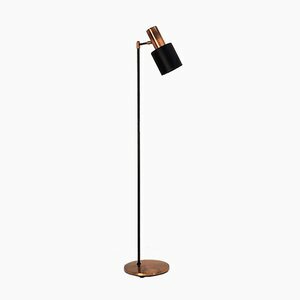 Streamlined, sleek forms become the company’s signature aesthetic, which was expressed in a range of lamps, pendants, and sconces designed by Hammerborg and other outside designers, like Jørgen Bo, Sophus Frandsen, and Torsten Thorup. 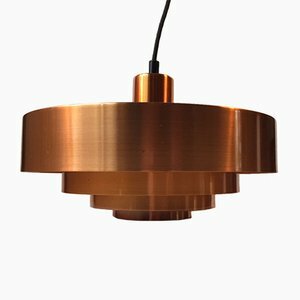 Standout designs include the Semi Pendant by Thorup and Claus Bonderup (1967); the Falcon Pendant by Andreas Hansen (1967); and the Nova Pendant (1963), Trombone Lamp (ca. 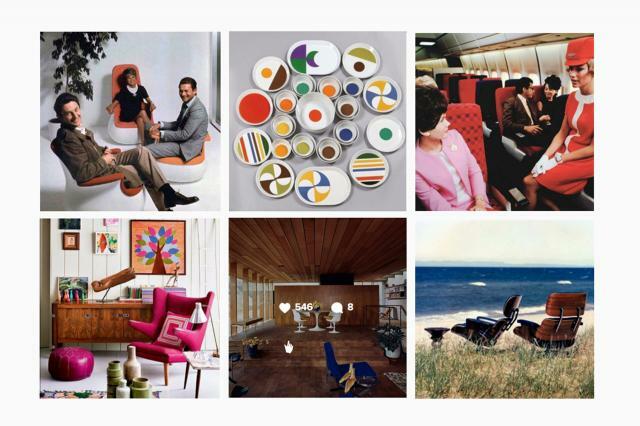 1966), and Copper Kastor collection (ca. 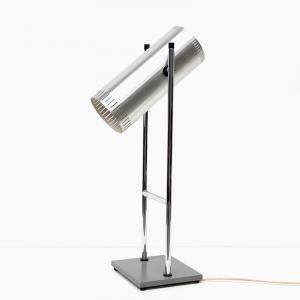 1969-71) by Hammerborg. 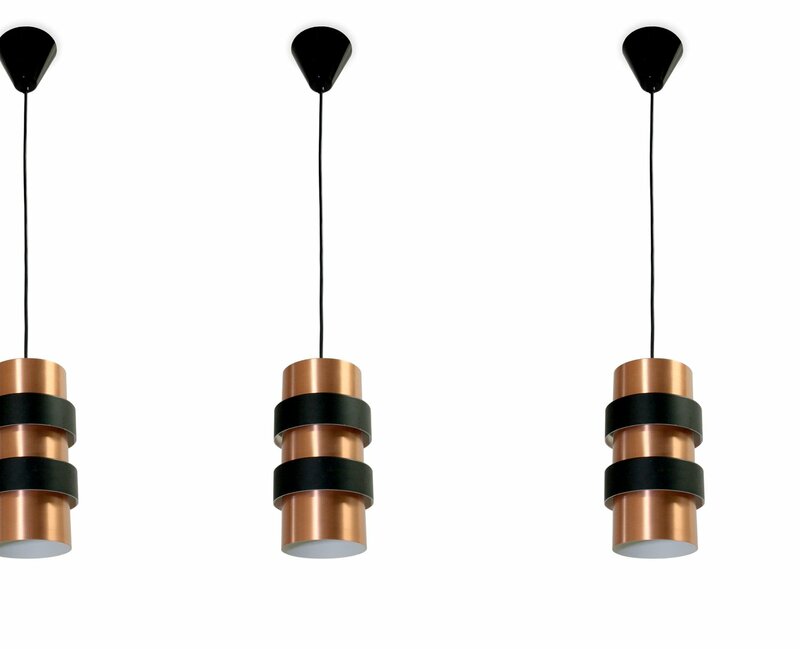 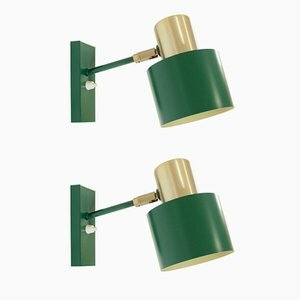 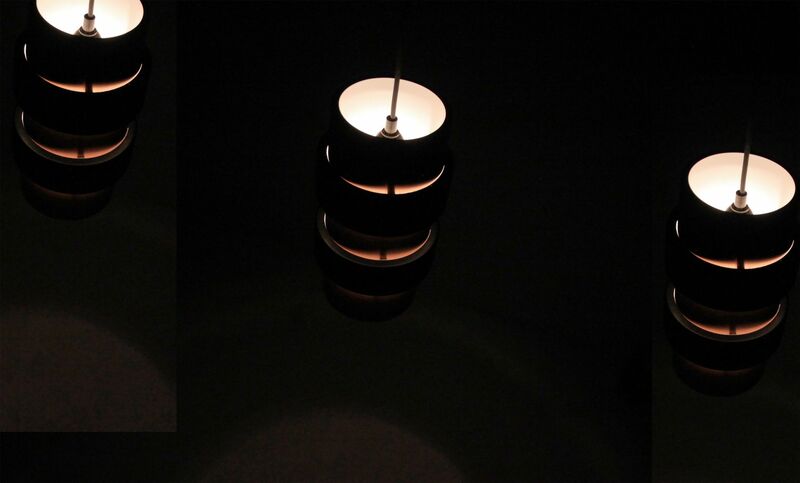 In 1978, Fog & Mørup merged with leading Danish modern lighting manufacturer Lyfa, and Hammerborg retired in 1980. 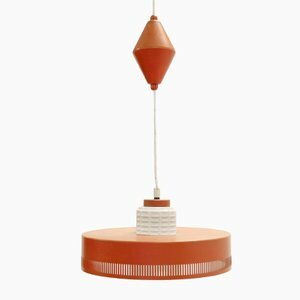 Through the course of the remaining years of the 20th century, the once pioneering Danish lighting brand lost steam as the company changed hands again and again. 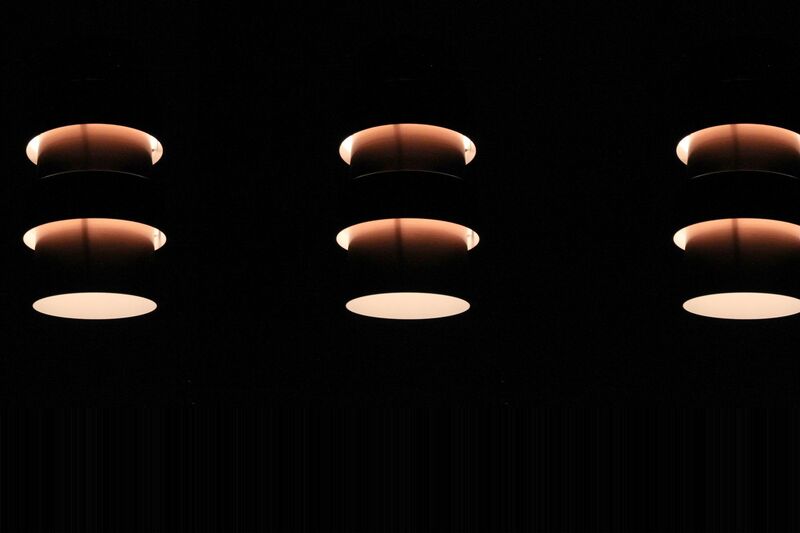 In 2005, following its final acquisition by Nordlux of Ålborg, Fog & Mørup official closed.